Banana Island, Nigeria's most exclusive Estate. Even though I expect the question, it still feels off guard. I convince the security guards at the main gate that I have been invited and after a call to the person I am supposed to see, they let me in with the magic word of the day, “Bravo”. I navigate my way towards the second gate and some speed bumps. After confirming the magic word to another security guard, he waves me through. A few more speed bumps and I finally get what many Nigerians crave - peace, quiet and civility. This is Banana Island, Nigeria’s most exclusive estate, where secret passcodes are exchanged like in a bad spy movie. It is here that Chidi Oke, a former resident of Victoria Island, moved to join Nigeria’s wealthiest and most prominent people on the man-made Banana shaped estate. The estate was the brainchild of the late Adebayo Adeleke, CEO of City Property Development Ltd, but was eventually constructed by the Lebanese-Nigerian Chagoury group in partnership with the Federal Ministry of Works and Housing. 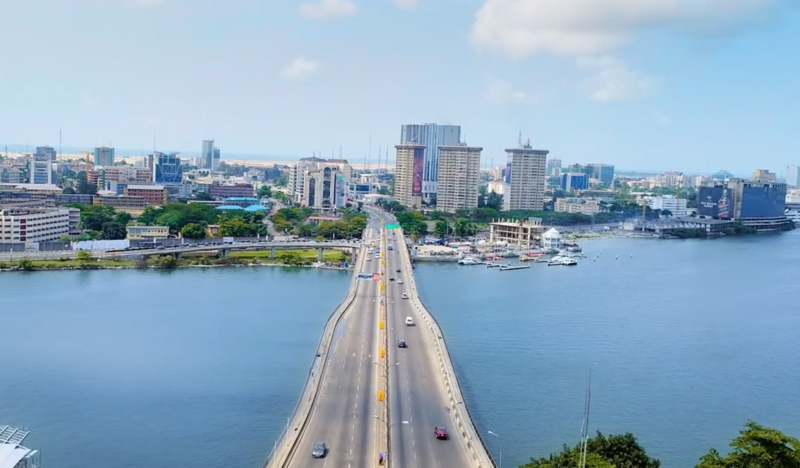 Banana Island sits on approximately 1,630,000 square metres of land, which spills into the Lagos Lagoon, and has become a Nigerian version of Beverly Hills and Burj Khalifa. It is also a picture of Nigerian exceptionalism. You may not know Mr Oke, but you know his neighbours. 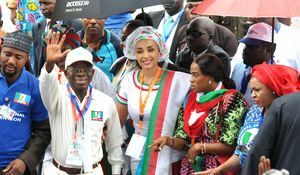 Iyabo Obasanjo. Aliko Dangote. Kola Abiola. Linda Ikeji. Alhassan Dantata. Even Mike Adenuga, CEO of Globacom and one of the wealthiest men in Africa. For Chidi and his family, Banana Island offered something rare in Lagos. Order and stability. Victoria Island is also the home of the wealthy but offered little protection from the hustle and bustle of Lagos. “Victoria Island began to look less appealing as it became more commercial. At some point, there were too many clubs and businesses moving there. We wanted somewhere more quiet and partitioned,” Chidi says. Banana Island is different. Here, commercial and residential zones are distinguished. On the right side of the estate is the strictly residential area; mostly comprised of private homes while the left side is the mixed area, in use by for-profit businesses including 9mobile and Olaniwun Ajayi, as well as service stations and a few private houses. The estate is also removed from the outside world; a gated community with only one major entrance. Resting at the Northeastern corner of Ikoyi, it is as if the estate and its residents don’t want to be found. And if they could, they would detach themselves from Lagos Island and settle somewhere in the serenity of the Lagos Lagoon. Banana Island was built to function in a country that does not function. Residents enjoy luxuries such as near-constant electricity, water, and drainage. The constant electricity in the estate is a big deal; after all, Nigeria has the second worst power supply in the world, and the rest of the country is almost always in darkness. “At the very least there’s 20 hours’ worth of electricity in Banana Island,” says Chidi on the state of power in the Estate. That is thanks to an independent power plant, which directly supplies the estate with electricity. 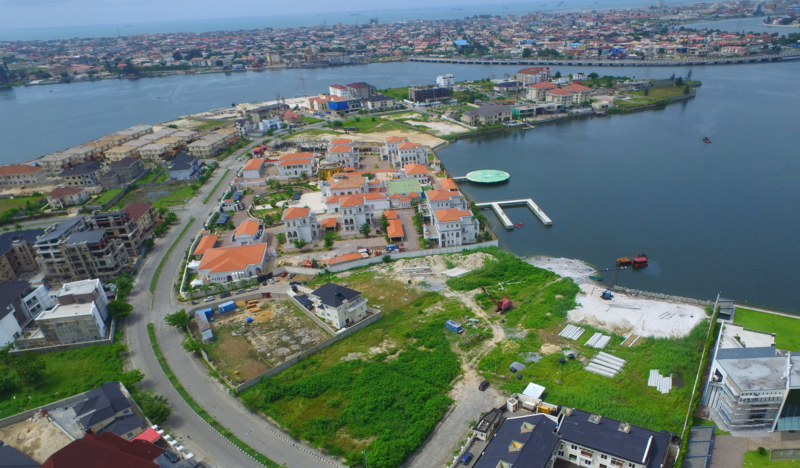 “We have street lights, family parks, halls, religious centres, convenience shops, pools, a minibus system and a golf course,” explains Chidi on the other perks that come with living in Banana Island. These amenities are not just available but are frequently maintained and upgraded. For example, according to Chidi, a bad road within the estate will likely be fixed in a week or two. Banana Island is proof that things can work properly in Nigeria. All it takes is money, planning and a vision. It is a picture of what Lagos could be, if not in the future, but in another world. The estate is also a reminder of Nigeria’s broader failure. Or, at least, a reminder of the ridiculous cost of success here. The comfort of the estate comes at a price, one the average Nigerian would find shocking. Just think, property here is priced in dollars. Ikenna Ume- Ezeoke is the Managing Director of Turquoise Construction Ltd. and has been working as a civil engineer in Banana Island for close to seven months. He puts the average price of renting an apartment in the estate at $22,000 to $150,000 a year – depending on what end of the estate the house is located. This is excluding a service charge of $17,000. The cost of housing is a result of many factors. One of them is the calibre of people living in the estate. As mentioned before, Chidi Oke has some wealthy and famous neighbours, and to join this exclusive club, you need to be ready to pay. But the cost of Banana Island may also be because of how perfect it is compared to everywhere else. The deliberate zoning, the constant security and access to power, well-maintained amenities. In Nigeria, these all cost money. “Banana Island has a lot of things that make it stand out from the average Nigerian estate. There’s a substantial amount of security, independent power, good road network. All of these things make the estate attractive and expensive,” says Ikenna on why property here is so expensive. “The closest place you can get to enjoying any of these things is Aso rock, the Presidential Villa,” he opines. The irony of Banana Island is its presence in a country where 62% of people live on less than $2 a day. The estate is a luxury that most of the population cannot afford. Residents are aware of this; some embrace the exclusivity, others consider it with unease. Chidi Oke says people perceive him to be lucky. “People are excited about it. You get this 'oh wow, you live in Banana Island?' reaction from the average Nigerian. They say I am rich and lucky to have access to a place like Banana,” he muses. And yet, for all its aspirations to perfections, Banana Island cannot escape its surroundings. Ironically, when the estate is most quiet, you can still hear the hustle and bustle of Lagos as you near the exit. The residents of Banana Island may temporarily escape the dysfunction of Nigeria when they retreat to their homes, but they can never really leave it behind. It lurks outside always, like barbarians at the gate. * This article has been edited to correct a figure of $4,000,000 from the previous version. 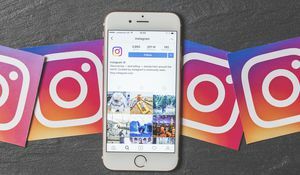 Why do Nigerians trust each other on Instagram but nowhere else?